Wherever you look, chances are you’ll see a banner, poster or flag advertising an offer, an event or a business. They’re becoming an increasingly popular means of advertising and promotion. Banners, poster or flags are extremely cost effective, providing maximum impact for a relatively small cost. This means they are viable for both long-term and short-term advertising. 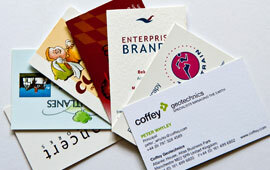 Let your business card says everything about you. Our high quality, full colour business cards which can also be laminated if required, are guaranteed to generate a fantastic first impression every time you hand them out. Thanks to our premier class but affordable business cards you'll have a great conversation starter before you even start to sell yourself!! 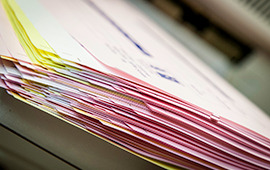 From letterheads to compliments slips, continuation sheets to business cards, along with printed forms and all other types of printed stationery - RLH Print can guarantee the production quality time after time whilst remaining extremely competitive on price and as always backed by the level of attention to quality and details you would expect from us. 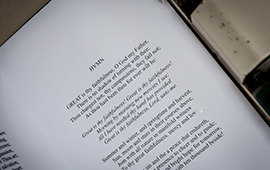 The correct brochure for your business helps set the tone for everything you want to say. 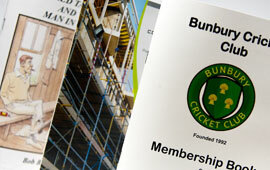 A brochure is ideal for spreading the word about your company or service. 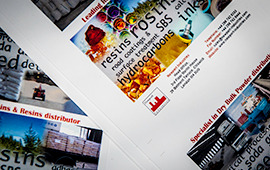 Let us help you create an impressive brochure from the original idea to finished product. 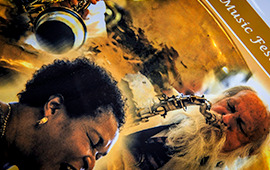 Want to use flyers to promote, persuade, recruit or advertise - make RLH Print your first stop for help with a new design or to work with existing artwork. We will produce flyers for your business with a super quick turnaround so that they start working for you as soon as possible. Small quantities of labels required? - let us produce these for you digitally on flat sheets or if larger runs are required these can be printed for you using our flexographic press with the finished labels being wound onto reels. 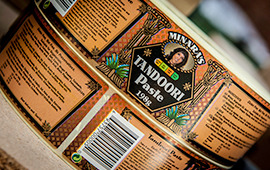 Specialising in producing labels for the food industry we welcome your enquiries and would be only to willing to advise you with your specific requirements. Our menus are printed on a good quality card, in full colour. 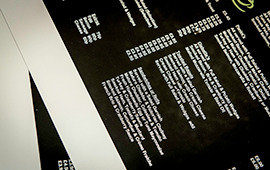 You also have the additional option of gloss or matt lamination which makes the menu waterproof. These menus and wine lists serve their purpose perfectly. 4 page A5, 6 page DL or 8 page DL or even 4 page A4; any combination is possible and all menus come with the assurance of quality and durability. 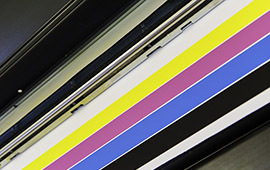 We provide a first class leaflet printing service, offering high quality printed leaflets in a range of finishes and sizes to suit your needs. Whether you are looking for print for promotional purposes, business leaflets or short-run digital work, RLH Print can do it all. RLH Print have many years experience creating the perfect stationery suitable for every type of event imaginable and have the skill and expertise to take ideas and turn them into a dream come true. Anyone looking for bespoke stationery that they will want to keep and treasure for years to come will be delighted with the highly personalised and unique stationery products we can create.